A blended curriculum suite for today’s student. ONEder Academy combines digital media, data tracking, and state-of-the-art accessibility tools with traditional classroom methods to help you achieve a true blended learning experience. An ever-expanding suite of life-changing curriculum packages for today’s student! ONEder Academy's first-class, online content not only empowers students, it supports their learning with a range of accommodations, all of which are tied to Universal Design for Learning principles. 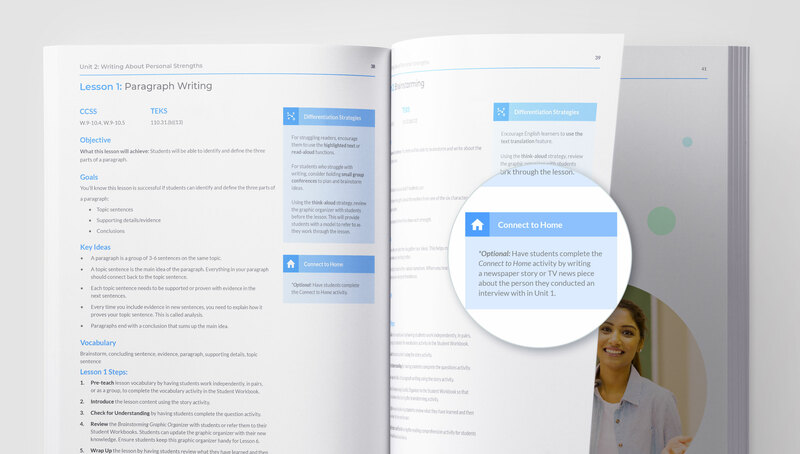 ONEder Academy makes the flexible, blended implementation of life-changing curriculum easy! ONEder’s Transition Curriculum is a suite of eight courses designed for students with mild to moderate disabilities, to help them prepare for life after high school. Our courses cover a range of topics, including: Identifying Personal Strengths, Identifying and Overcoming Challenges, Cultivating Communication Skills, Interpersonal Skills, Building Self-Advocacy, Setting Personal Goals, Developing Self-Determination, and Exploring Career Options. 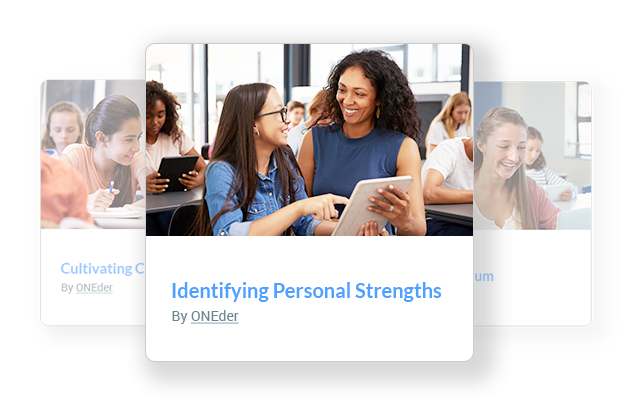 ONEder Academy's SEL curriculum is a series of five hybrid courses designed for high school students to help them be successful in and out of the classroom. Literacy is an essential skill for career readiness. 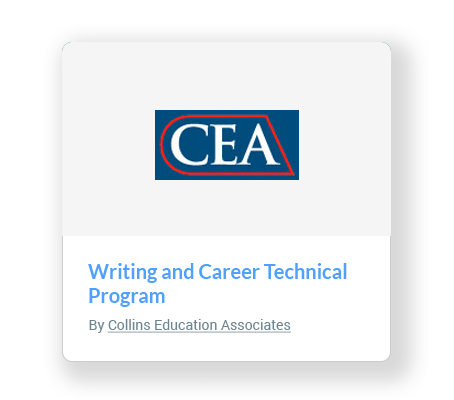 The Collins framework provides teachers with the tools for incorporating both reading and writing into any career or technical area. 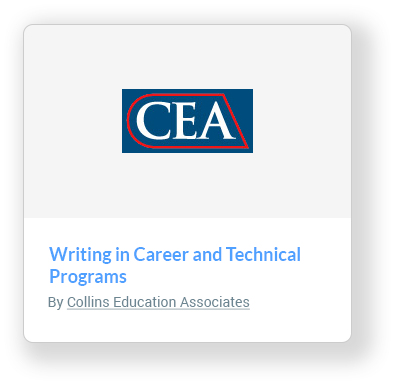 Students will complete assignments authentic to their area as they practice the writing necessary for success in their career or technical focus. The lessons and assignments not only encourage literacy, they demand strong career and technical understanding. Teachers in these areas will be given the tools to instruct, assess and support writing appropriate to their areas. 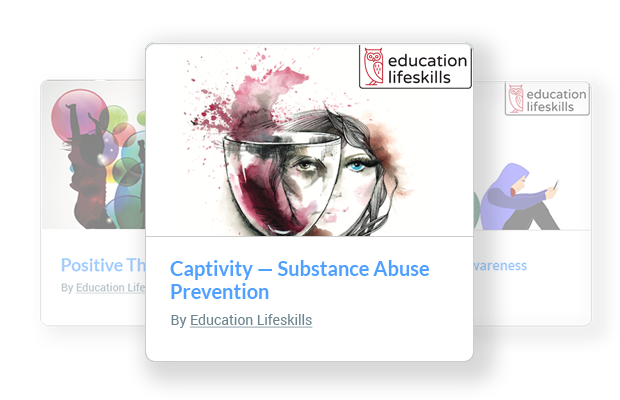 Education Lifeskills is a national provider of cognitive/behavioral life skills courses that address the underlying thinking errors that are associated with negative and at-risk behavior. Their unique cognitive restricting model, which is applied to self-directed learning curriculum, is an effective way to intervene and address the root cause of the problematic behaviors seen on today’s junior high and high school campuses. Education Lifeskills is backed by ACCI (American Community Corrections Institute), which began developing cognitive life skills curriculum in 1975 for individuals that were trapped in the criminal justice system. As an extension of their objective to reduce recidivism, they have more recently begun to work directly with schools and districts to increase their intention capabilities and help them to decrease the school to prison pipeline. 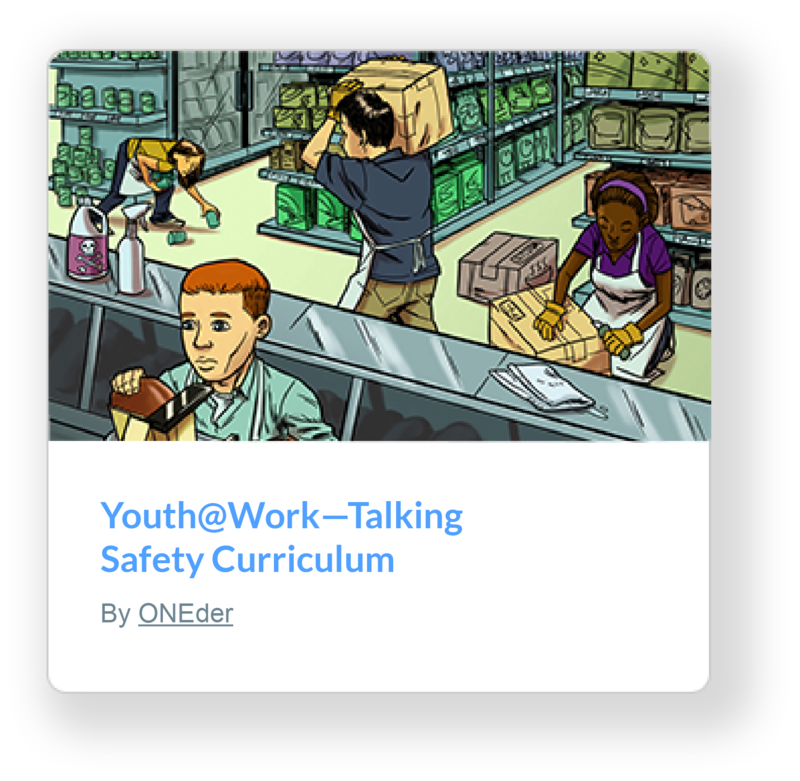 ONEder’s Youth@Work—Talking Safety Curriculum teaches core health and safety skills and knowledge, covering basic information relevant to any occupation at any stage of work life. ONEder’s Youth@Work—Talking Safety Curriculum teaches core health, safety skills, and knowledge, covering basic information relevant to any occupation at any stage of work life. Every student’s path is different, and they should have the tools they need to map their unique journey to a successful post-school life. Teachers, as guides on that journey, should have the same. 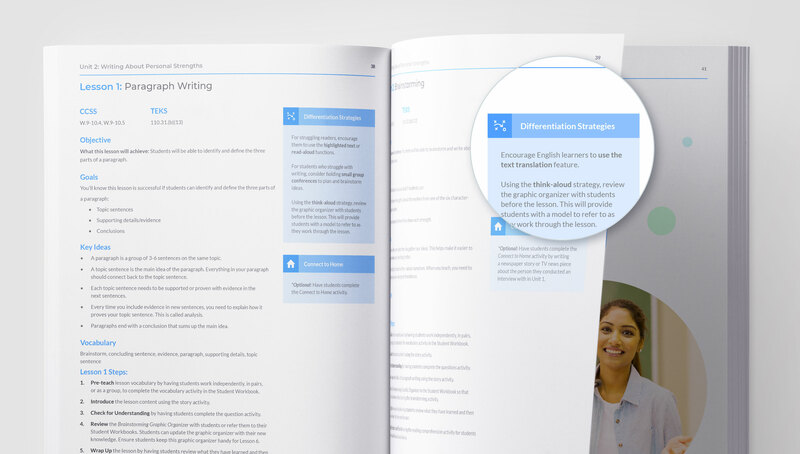 ONEder Academy provides just that: a distinct experience and set of tools for both teacher and student. Pre- and Post-Course Assessments demonstrate student mastery of content. As students complete activities, data is tracked, showing student progress toward goals and standards. Differentiated instruction ensures that all students can access the curriculum. Connect to Home activities increase family engagement. A variety of activity types built according to UDL principles ensure students are able to demonstrate mastery of content. A translation tool is available in over *60* languages, including Spanish. Students are empowered to select their own accommodations.